Ice Cream Scoop Favour - Give a gorgeous ice cream scoop favour for your wedding or party from Hoot Invitations. Just the thing to scoop up delicious memories and more! 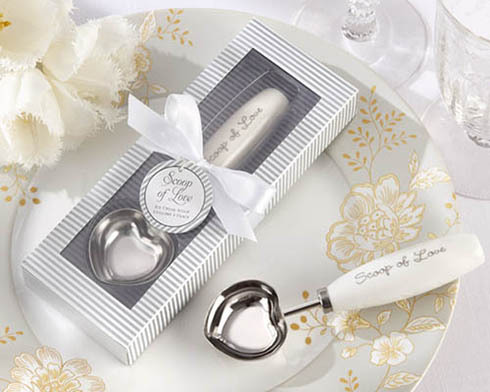 This heart-shaped ice cream scoop mixes sweetness with functionality for a "thank you" gift that will bring years of smiles-and ice cream sundaes-to your guests. - Scoop with handle measures 13.33cm x 2.34cm. When you have created your label press Preview in the other window, then Copy and Paste the line of text as directed into the "Design details" box below.